No powerful ruler transfers power unless his/her reign is threatened and he/shecan no longer continue. Allama Mashriqi’s private army of Khaksars in British India was indeed instrumental in bringing about the end of the British Raj in the Indian sub-continent. On March 19, 1940, alarge number of Khaksar freedom fighters were massacred while marching in protest of restrictions imposed on their activities (which were meant to bring freedom to the Indian sub-continent). In order to mark this historic day, rare photosof the Khaksar Movement(Khaksar Tehrik), which were part of a historic Khaksar album, have been made available from my collectionatthe following web site: https://www.facebook.com/KhaksarMovement.1. These pictures, captured during the 1930s, depictMashriqi and his Khaksar Movement’s fight against the British Raj. They provide a snapshot of the Khaksar movement and its activities, as the Movement rose to prominence and became the most powerfulprivate army the Indian sub-continent has ever known. 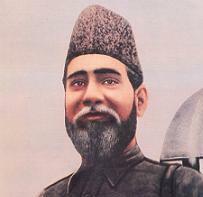 In 1930, Allama Mashriqi founded theKhaksar Movement to end British rule in the Indian sub-continent. The Khaksar Movement sought to instill a spirit of discipline and unity among the masses; the Khaksars wore uniforms, carried spades (symbolizing dignity and power of the common man), and held parades and mock wars to inspire Muslims, Hindus, Sikhs, and other communities and prepare them to seek indepence. The Khaksars, hailing from all faiths, sects, genders, ages, and classes worked tirelessly to mobilize the public towards freedom. In support of their efforts, thousands of copies of Khaksar photo albums were published and distributed among the Khaksars and to the masses in villages and cities. Photo slides were also displayed in cinemas. Furthermore, the Khaksars used to organize public gatherings across the Indian sub-continent to show Khaksar activities and photos and also to distribute Khaksar pamphlets, flyers, and copies of the “Al-Islah” newspaper. Through such endeavors, the Khaksars were able to enroll over five million people into the Movement; the Movementspread all over the Indian sub-continent and established branches across many regions around the world – from Asia to Africa to Europe (specific countries arelistedin various historical documents). Creating such a large army (even larger than many present-day armies) without a formal military academy or funding (from domestic or foreign sources) was unprecedented. In order to further suppress the movement, Khaksar materials, including alarge number of the Movement’s photo albums were confiscated. Copies of some of the seized albumswere sent to the British rulers (for example, the Viceroy of India Lord Linlithgow, relevant authorities in London, andBritish Governors in India). Following Mashriqi’s arrest, the Viceroy of Indiaheld a conference with high officials to discuss and formulate an action plan with regards to the Khaksar threat; thosepresent at the said meeting (besides the Viceroy) were: the Commander-in-Chief of the Indian Army, Sir Maurice Garnier Hallett (Governor of then UnitedProvinces), Sir Henry Duffield Craik (Governor of Punjab), Sir Reginald Maxwell (Home Member), H.S. Stephenson (Secretary to the Governor of the United Provinces [U.P. ]), and Sir John Gilbert Laithwaite (Viceroy’s Private Secretary). They discussedthe serious threat Mashriqi’s armyhad createdfor British rule and devised a strategy to crush the Movement. The British undertook a number of strong steps to try and stop the Khaksar movement. Since they controlled the media in India, they launched a vigorous anti-Mashriqi and anti-Khaksar campaign. Mashriqi,who was once the Under Secretaryfor the Education Department and was offered Knighthood and an Ambassadorship, was now called a “rebel” or “dictator” or “fascist.” The Khaksars were alsofalsely referred to as“fifth columnists” or“terrorists.”Foreign newspapers also followed suit.For example,on September 19, 1944, Australian newspaperThe News published an itemabout the Khaksars underthe title“India's Three Million Lawful Fascists” (along with falsely labeling the Khaksars as fascists, the paper underreported the size of the movement, which by this time was over five million people).Thispropaganda and suppression backfired and the freedom movement instead gained even greater momentum. Mashriqi’s Khaksar Movement also brushed aside all the Government actions and propaganda and remained steadfastly committed to their mission of bringing freedom to the Indian sub-continent. The Movement began a vigorous resistance and civil disobedience campaign. And when Mashriqi was finally released from prison, he became even more determined to topple British rule and refused to engage in impracticalnegotiations or bargains with the rulers. He rigorously worked until British rule came to an end in 1947. During his political life, Mashriqi endured imprisonments, warnings, intimidations, restrictions, and life threatening attacks,butstill he refused to relent. The recently released Khaksar images are significant because theyfeature Mashriqi and the Khaksars participating in various activities –parading (in uniform with spades) in the streets to bring up-rise among the masses, engaging in military activities, displaying cannons as a demonstration of their intent and power, and holding mock wars to show their preparation for the battle to overthrow the British Raj. The strength of Mashriqi’s disciplined private army also generated great interest among prominent men, who visited the Khaksar camps at different times. Some of the photos show these men at Khaksar campswatching their activities. Among the visitors were the Premier of then North West Frontier Province Sir Abdul Qayyum Khan, Punjab Premier Sir Sikander Hayat Khan, Bacha Khan, and Mohandas Karamchand Gandhi. The availability of these rare and extraordinaryKhaksar photoson social mediashall go a long way in educating the public about the activities of these unsung heroes of the freedom movement. The writer,Nasim Yousaf, is a grandson of Allama Mashriqi and a researcher based in the US.